Today, the hope that all believers on earth will be "caught up" to heaven is being challenged in new waves of criticism. In this well-reasoned and thorough defense, prophecy authors Ed Hindson and Mark Hitchcock examine the concept, context, and consequences of the important and long-expected event known as the Rapture. Learn why the timing of the Rapture really does make a difference! Get a grand glimpse of your glorious future. Find the book here for $16 + S/H. The book is softbound and 230 pages. You can also call us M - F CDT at 763-559-4444. Seats are sold out other than the chapel but as people cancel, those tickets in the sanctuary become available. Call the Brushfire Agency for ticket information: 1-888-338-5338. They will offer you a cancellation ticket. You must have a ticket to enter. If you have lost your ticket, contact Brushfire. Please print out the entire page sent to you by Brushfire. This event is live streamed at no cost. Visit our website on September 29. Get your church or fellowship together for the day. There is no registration involved. Just visit www.olivetreeviews.org on September 29. The programming is all Central Daylight Time. Arrive early to avoid the crunch. There will be a check-in process. 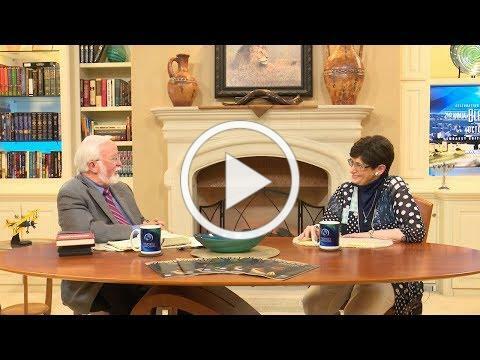 Gary Stearman and Jan Markell in part 2 of their TV discussion: The attack on Bible prophecy and the doctrine of the Rapture of the Church.